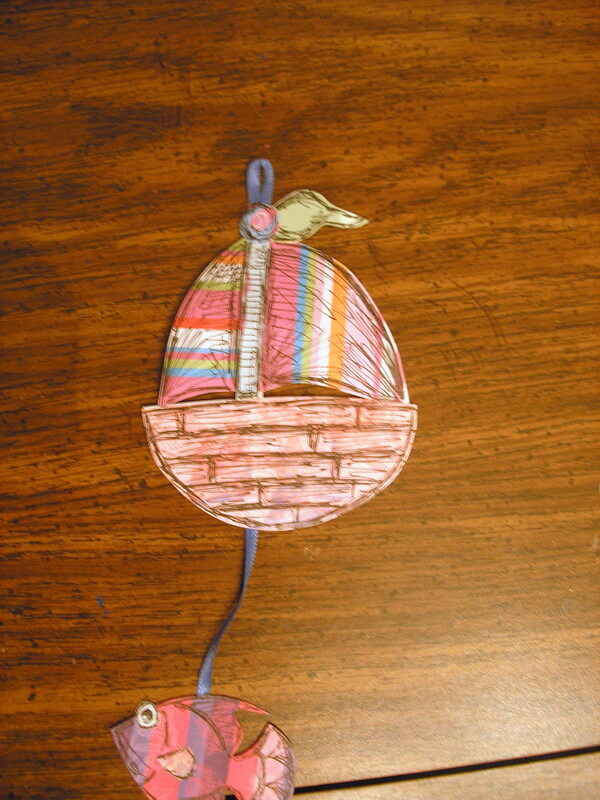 Another April craft, also for a swap-bot swap. 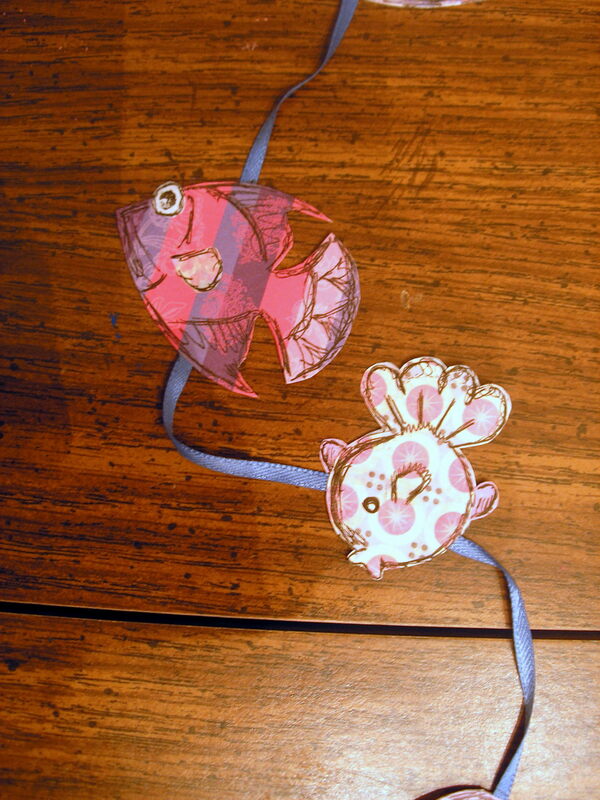 For this, the instructions were to make a garland 2 feet or longer with decorated paper fish. 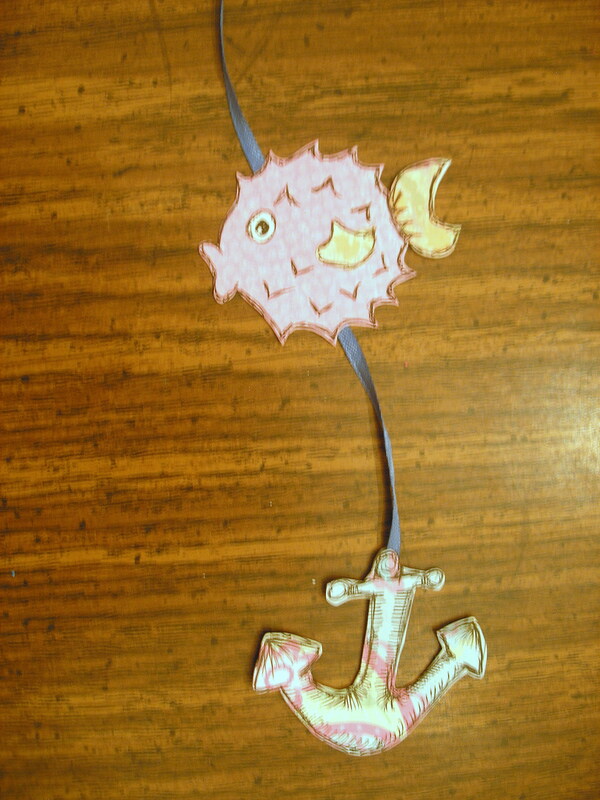 Mine did not turn out as I first envisioned at all (in part due to the size of my fish, in part because my partner liked pink, which is unfamiliar territory for me) but I still like it. What I envisioned was using my sewing machine to do the outlines, but after I did the drawings, I realized there was NO way I could pull off that level of detail– at least not in the time I had left to complete the project. Instead, I used a micron pen to sketch and crosshatch the details. 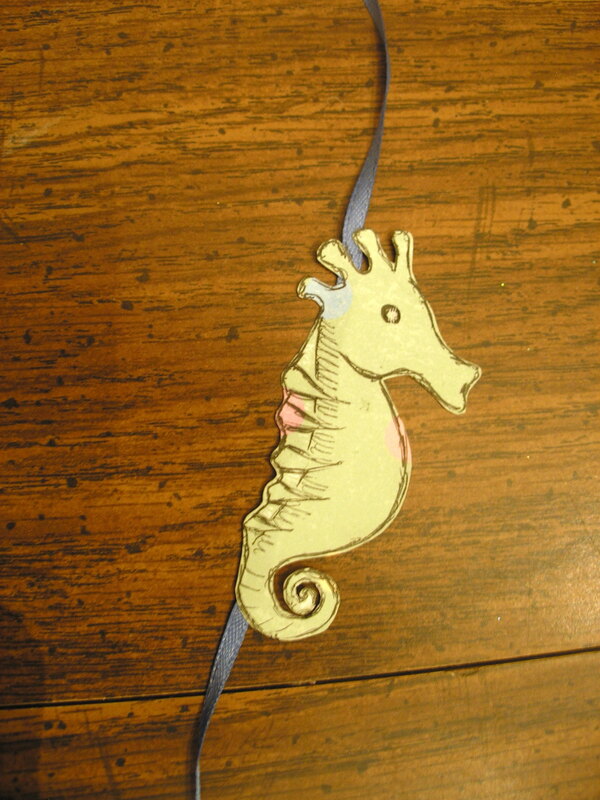 I apologize for the quality of the photos– I took them at night before packaging the garland to send. 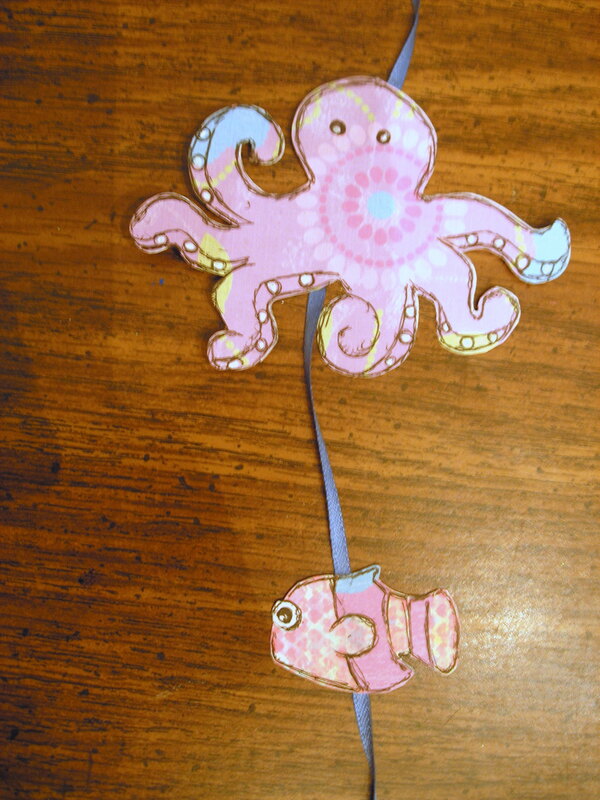 This entry was posted on Sunday, May 9th, 2010 at 12:38 am	and tagged with art, cute, Fish, fun, paper, ribbon, swap and posted in Artistic Pursuits, Other Arts and Crafts. You can follow any responses to this entry through the RSS 2.0 feed. Make the header less ugly. Get the 7gypsies paper binderie to finish my wish journal. Update the challenges page-- prune out dead sites, add in new ones. Finish and post the Goodies and Reading Room pages I had in mind ages ago.